Running of the Bulls ! Dead Man’s Curve Balcony: Witness the most dangerous portion of the Running of the Bulls from just above the chaos! We are often asked the question, “Where is the best place to watch the Running of the Bulls?” There are a select few viewing angles we would recommend, and one of those is the famous “La Curva,” or “Dead Man’s Curve.” American Runner Joe Distler, a legend in Pamplona, made this part of the course popular during his annual adventures in the streets. 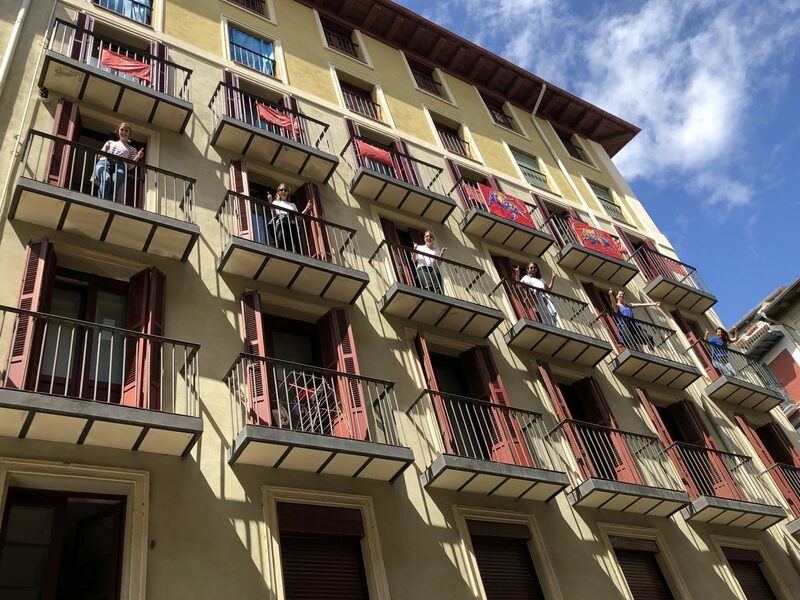 Bucket List Events has an incredible balcony location at the corner of Calle de Mercaderes and Calle de Estafeta, known as “La Curva” during San Fermin Festival. As the bulls come charging down the street, there is a sharp 90 degree turn that has unpredictable results. Sometimes the bulls make the turn, sometime they wipe out, sometimes runners get caught in all of the mess. Enjoy this incredible view with a breakfast in your belly! We have a magnificent viewpoint of all of this chaos, so choose your date and reserve your spot today! Listen to the experts talk about the uniqueness of “La Curva,” and we can give you an incredible view of the action! There are six balconies that hold 5 people each. We are located on the 3rd viewing level of the building. There are 8 levels. We understandably get this question a lot, and here is our experience. 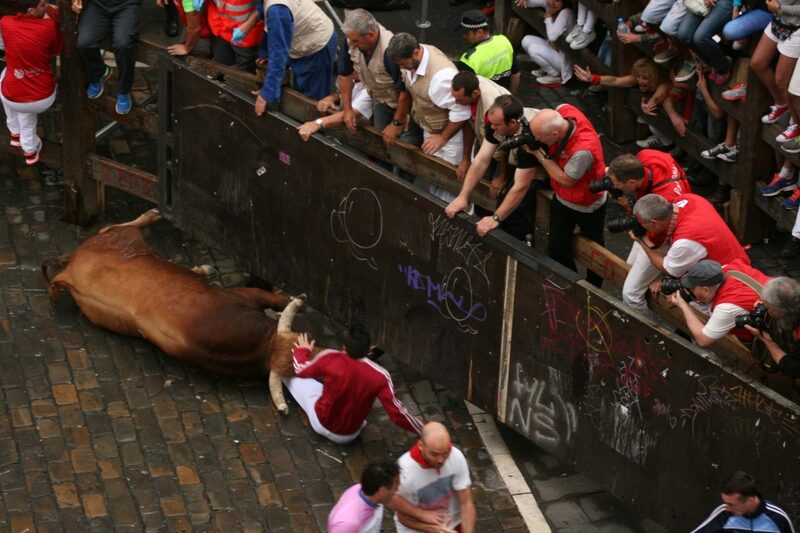 Humans and bulls are about the same height, and since Estafeta Street is long and straight, runners have the best opportunity to run in front and behind the bulls successfully. 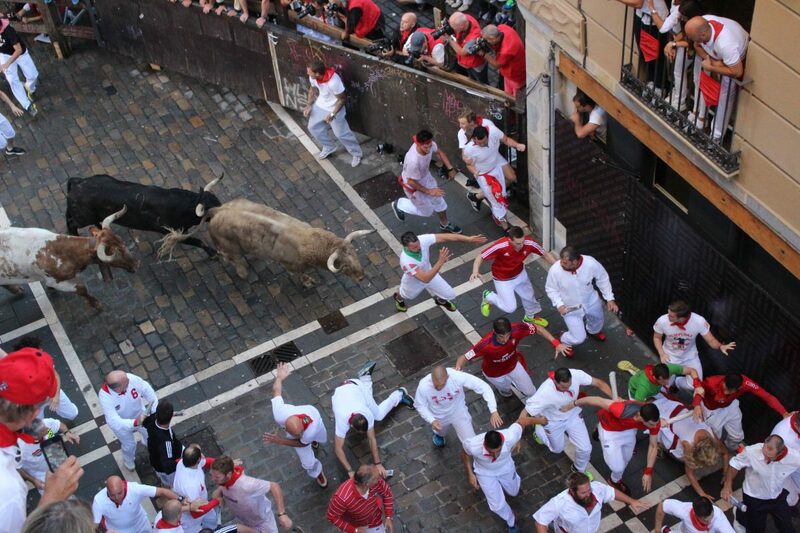 As the runners surround the bulls, they block everything but the bull horns. At this particular location, we have had balconies in the past on a lower level, and while the experience was just above the fray, the amount of time our guests could see the bulls was brief. After waiting a few years, we were able to secure a balcony on the 3rd viewing level that would afford a longer viewing experience. Also consider that as the bulls come around the curve, they are usually still in a tight formation. It will be a few hundred feet before the runners begin to fill in front and behind the herd. Yes, there is a traditional breakfast served each morning. There will also be coffee and juices. We have an informational flyer with everything you need to know. We recommend you join our walking party each morning just to be safe. If you book 6 spots or more on a given morning, there is a discounted rate. This cannot be booked online, so call in to take advantage of your discount. "A HUGE thank you to Toby & Rich (& all the ladies) from Bucket List Events... these guys made our run with the bulls experience run so very smoothly. You guys went above & beyond to provide an AWESOME experience. We had such a blast along the way, meeting beautiful people who loved life. It was a blast meeting you all!!" We booked a trip with Bucket List Events to Run With the Bulls in 2017. It was the best decision we could have made. Our experience doing the event and being guided by Toby and his team was amazing. They put together a first-rate package that was flawless. They were knowledgeable, accommodating and very friendly. We bonded right away and the fun began! They showed us the town, arranged great meals, and were available whenever we needed them. They were never without ideas and suggestions and took charge to be sure we all had a good time. Our group of ten highly recommends Bucket List Events for the chance to Run With The Bulls! The Bucket List Event team were hands down the best, funniest, and on-the-ball team I have ever planned anything with! They had our events well planned out, orchestrated on time and thought out. The staff were all so great and made this vacation a memorable one! I spent 3 days with remarkable guides and new friends I made so easily. Whether this was your first trip out of your home country or your 105th, Bucket List Events goes "beyond" to deliver comfort, ease, history, tales of the past, and great food at fabulous restaurants. I've made travel friends for a lifetime and many more events planned in the future. Crazy organized with 100% effort in our comfort. 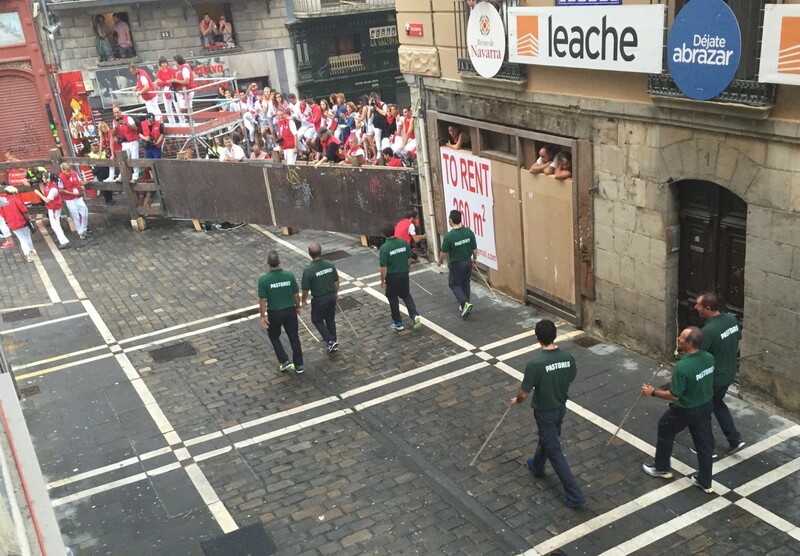 Our large group, consisting of two families, participated in the running of the bulls in Spain. Toby and crew made us and all parties with us feel completely involved in the festival. Could not be more pleased. We would use them again in a heart beat.